Several news sources (WSJ.com and Dow Jones Newswire) reported on the $33.2 million default judgment obtained by Verizon Communications Inc. against OnLineNIC, Inc. for alleged cybersquatting. See Verizon California Inc. et al v. OnLineNic Inc., Case No. 08-cv-02832 (N.D. Cal.). Verizon sued OnLineNIC for registering 663 domain names that were “identical to or confusingly similar to Verizon trademarks.” Verizon claimed that the registrations were done in order to steer traffic away from Verizon's sites. The default judgment awarded Verizon $50,000 per domain name. Verizon’s counsel associate general counsel Sarah Deutsch was quoted as saying “This case should send a clear message and serve to deter cybersquatters who continue to run businesses for the primary purpose of misleading consumers." Or maybe it just sends a message that if you are sued, you should take the lawsuit seriously or else face the consequences of a default judgment and, in the cybersquatting context, the strong likelihood of the plaintiff electing to receive statutory damages under 15 U.S.C. § 1117(d) which can range from a minimum of $1000 to a maximum of $100,000 per domain name depending on what the court considers just, which apparently in the Verizon case was $50,000. The third time will hopefully be a charm for Visa International Service Association (“Visa”), owner of the famed VISA mark, in its long running trademark dispute with JSL Corporation (“JSL”) over JSL's use of the mark eVISA. On December 16, 2008, the U.S. District Court for the District of Nevada decided once again on summary judgment that JSL’s use of the eVISA mark was likely to cause dilution against the famed VISA mark. See Visa International Service Association v. JSL Corporation, Case No. 01-CV-00294, 2008 U.S. Dist. LEXIS 101399 (D. Nev. December 16, 2008). The case has actually been decided in Visa's favor twice already -- both times on summary judgment. On October 22, 2002, the district court granted partial summary judgment in favor of Visa on its trademark dilution claim, finding that Visa had shown as a matter of law that JSL use of the EVISA mark likely diluted the VISA mark. On appeal by JSL, the Ninth Circuit on January 16, 2004 remanded the case back to the district court in order for the court to consider the impact of the U.S. Supreme Court’s decision in Moseley v. V Secret Catalogue, Inc., 537 U.S. 418 (2003), which held that to prevail on a dilution claim under the dilution law at the time (the Federal Trademark Dilution Act ("FTDA")), a plaintiff must establish actual dilution rather than a likelihood of dilution. After the Ninth Circuit's remand, the Trademark Dilution Revision Act of 2006 ("TDRA") was subsequent signed into law on October 6, 2006. On remand, the district court applied the FTDA and again granted summary judgment to Visa on its trademark dilution claim on December 27, 2007. The court, following the Ninth Circuit’s instructions set forth in Jada Toys, Inc. v. Mattel, Inc., 496 F.3d 974 (9th Cir. 2007), applied the old dilution law rather than the new law because Visa had filed the lawsuit in 2001 before the FTDA was enacted. On February 1, 2008, Visa filed a motion for relief from a final judgment based on this court's "mistake" in applying the FTDA rather than the TDRA. 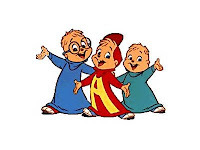 Before the district court could decide the motion, the Ninth Circuit, on February 21, 2008, amended the Jada Toys decision (previously blogged here) to apply the TDRA to a trademark dilution claim even though the plaintiff filed suit before the TDRA's enactment. See Jada Toys, Inc. v. Mattel, Inc., 518 F.3d 628 (9th Cir. 2008). The district court then informed the Ninth Circuit that it wished to entertain Visa’s motion for relief from a final judgment in light of the Ninth Circuit's amended Jada Toys decision and the Ninth Circuit remanded the case to allow this court to consider Plaintiff's motion for relief from a final judgment. In the end, the court granted Visa’s motion for relief from a final judgment although it did so under Fed. R. Civ. P. 60(b)(5) (a party can challenge a final judgment if “it is based on an earlier judgment that has been reversed or vacated” or “applying it prospectively is no longer equitable”) instead of under Rule 60(b)(6) (for any other reason justifying relief from the operation of the judgment) which was the basis cited by Visa in its motion. The court did not apply law of case to the fact of fame, but found once again under the TDRA that the VISA mark is famous. As for the TDRA’s requirement that a mark be distinctive, the court accepted its prior order finding the VISA mark to be arbitrary when used in connection with the goods and services provided by Visa. Regarding JSL’s use of the VISA mark in commerce, the court concluded that it had used a mark that was nearly identical to the protected mark – the same mark except for the JSL's addition of a letter 'e' as a prefix, which is commonly used to denote the online version of a business. The court applied law of the case to the factor of JSL’s use after the mark became famous because the element is identical to the FTDA. Finally, the court applied the six nonexclusive factors set forth in 15 U.S.C. § 1125(c)(2)(B) that a court may consider in determining whether a trademark is likely to cause dilution by blurring and found that Visa had made an “exceptionally strong showing” on four of the six factors. The court concluded as a matter of law that JSL’s use of the EVISA mark is likely to cause dilution by blurring of Plaintiff's VISA mark, and amended its December 27, 2007 order accordingly. Finally, the court, applying law of the case, granted the same injunctive relief that it previously ordered – namely enjoining JSL from using or registering the EVISA mark and from using the www.evisa.com domain name. Bloomberg reports on the trademark infringement lawsuit filed by Anthony Iommi, co-founder and lead guitarist of the famed heavy metal band Black Sabbath, and Bluefame Ltd., the U.K. corporation that represents Iommi in his Black Sabbath trademark licensing, against Signatures Networks, Inc. (“Signatures”) and Live Nation, Inc., which purchased Signature in 2007. See Anthony Iommi et al v. Signatures Network Inc. et al, Case No. 1:08-cv-10904 (S.D.N.Y. December 16, 2008). A copy of the complaint can be downloaded here (courtesy of The Trademark Blog). Iommi is the only remaining original member of the band formed in 1968 in Birmingham, United Kingdom, by Iommi, vocalist John “Ozzy” Osbourne, bassist Terence “Geezer” Butler and drummer Bill Ward. The original members left the band in the 1980s and each member relinquished all of his respective right, title, and interest in and to the Black Sabbath name, which left Iommi as the sole exclusive owner of the Black Sabbath name by 1985. Bluefame first received a registration for the BLACK SABBATH mark in the United Kingdom in 1999, and subsequently assigned and transferred the registration to Iommi. 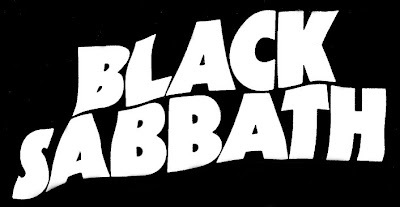 On October 31, 2000, Iommi received a federal trademark registration from the United States Patent and Trademark Office for the word mark BLACK SABBATH for three classes of goods (phonograph records, compact discs and prerecorded audio tapes featuring music; clothing; and entertainment services, namely, live performances by a rock band). In 1997, in connection with a Black Sabbath reunion tour, Iommi, through Bluefame, entered into a licensing agreement with Signatures to manufacture, distribute, and sell merchandise bearing the Black Sabbath trademark and Iommi’s image. The original term was through the end of 2000, but the term was extended to June 30, 2006 through three subsequent amendments. According to the complaint, the parties attempted to negotiate a fourth amendment, but were unable to reach any agreement on extending the license. The negotiations apparently collapsed around the time when Live Nation purchased Signatures for $79 million in cash, stock and repayment of debt. In April 2008, Iommi sent a letter to Signatures demanding that Signatures cease and desist from manufacturing, selling, and distributing all merchandise bearing the Black Sabbath mark and/or Iommi’s name or likeness. 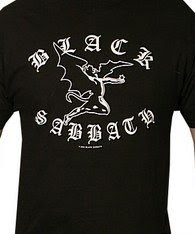 According to the complaint, Signatures has continued to manufacture, distribute, and sell a wide range of merchandise bearing the Black Sabbath trademark and Iommi’s image and likeness. Iommi’s causes of action are for registered trademark infringement under 15 U.S.C. §1114, false designation of origin under 15 U.S.C. §1125(a), trademark dilution under 15 U.S.C. 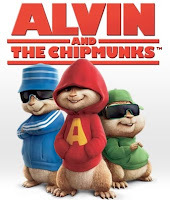 §1125(c), trademark infringement under New York law (N.Y. GEN. BUS. L. § 360-k), trademark dilution under New York law (N.Y. GEN. BUS. L. § 360-1), common law trademark infringement, and breach of Iommi’s right to privacy under New York law (N.Y. CIV. R. L. §§ 50-51) for the unauthorized use of Iommi’s name, image, and likeness. Iommi seeks injunctive relief, damages, treble damages, costs, attorneys’ fees, and destruction of all infringing merchandise. The lawsuit filed by Hasbro, Inc. against the makers of the widely popular Facebook game SCRABULOUS (previously blogged here and here) has been voluntarily dismissed by Hasbro. See Hasbro, Inc. v. RJ Softwares, Rajat Agarwalla, and Jayant Agarwalla, Case No. 08-cv-6567 (S.D.N.Y. July 23, 2008). News reports on the settlement can be found here, here, and here. 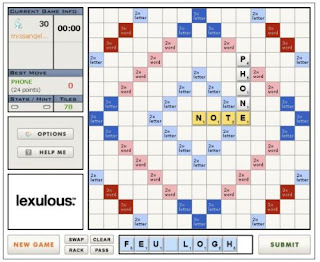 RJ Softwares has agreed not to use the term Scrabulous and has made changes to the Lexulous and Wordscraper games (in the U.S. and Canada) to distinguish them from the SCRABBLE crossword game. Based on these modifications Hasbro has agreed to withdraw the litigation filed against RJ Softwares in federal court in New York in July of this year. As modified, the Wordscraper application will continue to be available on Facebook and Lexulous will be available on the Lexulous.com website. 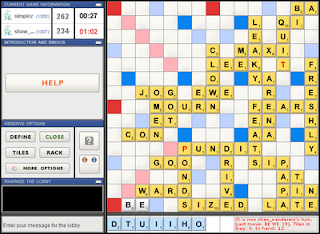 The Wordscraper game is similar to Scrabulous except that players could devise their own scrabble-type board rather than having a board with the “trademark” look of the original Scrabble board (shown above). For those following the long running trademark infringement saga between Welding Services, Inc. (“WSI”) and Welding Technologies, inc. (“WTI”), the Eleventh Circuit decided last year that there was no likely confusion between the stylized WSI logo and the stylized WTI logo for welding services and affirmed the district court’s summary judgment in favor of WTI. A summary of the court’s decision can be read at Filewrapper®. The case went back to the district court where WTI, the successful defendant, renewed its motion for attorney's fees under 15 U.S.C. § 1117(a) as the “prevailing party.” The district court awarded WTI $104,463.71 in fees and costs and WSI appealed. The Court of Appeals, in an unpublished per curiam opinion, reversed and remanded the case back to the district court on the grounds that the court made a clear error in one of its findings and did not seem to have considered a declaration that was submitted. See Welding Services, Inc. v. Terry Forman, Appeal No. 08-13287 (11th Cir. December 2, 2008) (per curiam). Since the district court applied the correct legal standard for determining if the case was exceptional, the Court reviewed the district court's award of attorney's fees for an abuse of discretion (i.e., clear error in the court’s findings of facts in its decision). The district court found that WSI had an improper motive for bringing the infringement claim given that WSI had filed its complaint only after three former WSI employees acquired WTI even though WTI had actually been using the same mark for two years before the lawsuit was filed. The district court also found that WTI attempted to resolve the infringement issue without litigation by "volunteering" to change the allegedly infringing mark in its response to WSI's cease and desist letter. Finally, the district court found WSI’s trademark infringement claims to be “weak” and yet WSI “persisted with expensive, time-consuming litigation in spite of that.” Based on such findings, the district court awarded the fees and costs. The Court also noted that the district court had not commented in its findings about a sworn declaration of a former WSI employee stating that WSI's chief executive officer told him that he intended to “sue WTI out of business.” The Court determined that the district court should make a credibility determination regarding the alleged statement and, if it finds that statement was made, should consider it in deciding whether WSI litigated with an improper motive. Ron Coleman’s Likelihood of Confusion® beat me to the trademark blog punch with his analysis (link here) of the ex parte appeal filed by Chippendales USA, LLC -- the owner of the intellectual property behind the famed Chippendales dancers -- appealing the USPTO’s final refusal to register its “unique” apparel configuration (pictured below) as a trademark for "adult entertainment services, namely exotic dancing for women in the nature of live performances" on the basis that the trade dress is not inherently distinctive. See In re Chippendales USA, LLC, Serial No. 78666598 (the hearing of which is scheduled for Thursday, as reported by The TTABlog®). What’s interesting about this pending application being appealed is that Chippendales actually already has one trademark registration on this particular trade dress – U.S. Trademark Registration No. 2,694,613 (for adult entertainment services, namely exotic dancing for women). That application was filed back in November 2000. After the PTO initially refused registration on the basis that the trade dress was not inherently distinctive, Chippendales amended the application to state Section 2(f) acquired distinctiveness as its basis for registration on the Principal Register (along with 400 pages of evidence). 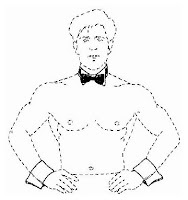 The PTO had no problem recognizing that the Chippendales trade dress had acquired distinctiveness. Then in 2003 (about five months after the above application had registered), Chippendales filed a second application to register the same trade dress – only this time, Chippendales did not want to enter a Section 2(f) claim of acquired distinctiveness. One basis for the PTO’s refusal to register was that the application would result in a duplicate registration; however, Chippendales’ attorney explained that “the objective of this application is to have the Cuffs and Collar mark deemed inherently distinctive and registered on the Principal Register with no Section 2(f) claim.” This particular application was subsequently abandoned (for reasons not entirely clear although it may have had something to do with an untimely appeal) in favor of a third application filed in 2005 (the application which is subject to the aforementioned hearing). TMEP 1301.02(c) provides for registration of a “three-dimensional costume design . . . for entertainment services.” In other words, clothes worn as a costume, not as “apparel” per se, are clearly amenable to protection as a trademark. The question appears to be whether a “configuration” of apparel such as that in the illustration constitutes a “costume” — i.e., whether the concept of using a costume to portray a particular character (Mickey Mouse, the San Diego Chicken) can be extended to a situation where, here, there is a concept, but not an identifiable, personal persona meant to be evoked. Whether the applied-for mark is capable of creating a commercial impression distinct from the accompanying words. Regarding the first factor, the PTO found that there is nothing unique or distinctive about a male dancer wearing cuffs and a bow tie and collar and that it is considered to be one of various ways for strippers and male entertainers to dress. As for the second factor, “The collar and cuffs are but one style of accouterments that are worn during the performance of a dance number or show. . . . This is practically an integral element of live acts, exotic dancing and strip tease performances in the world of entertainment and burlesque.” Regarding the third factor, the PTO noted that “Exotic dancers and striptease performers, particularly in the early days of burlesque, often began their routines in formal evening attire. . . . Though this particular form of dress may have been innovative, it was not source recognizing at the outset.” The fourth factor was inapplicable because no word mark was involved. 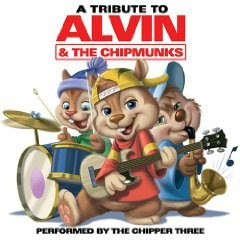 The test suggested by Chippendales as an alternative to the Seabrook test with respect to costume source indication is: 1) Is the costume used in a channel of trade where consumers are conditioned through their past experience to presume a source identification function? and 2) Is the costume immediately associated with an iconic larger than life character where the costume acts as an intrinsic symbol for the character? Because the Chippendales "Cuffs & Collars" outfit has become so famous in connection with Chippendales, one can overlook the issue behind inherent distinctiveness -- namely, was the trade dress inherently distinctive when it was first adopted. The PTO maintains that despite the "iconic" status that Chippendales' trade dress may have presently reached, it did not have such status when the services first took place using the trade dress.